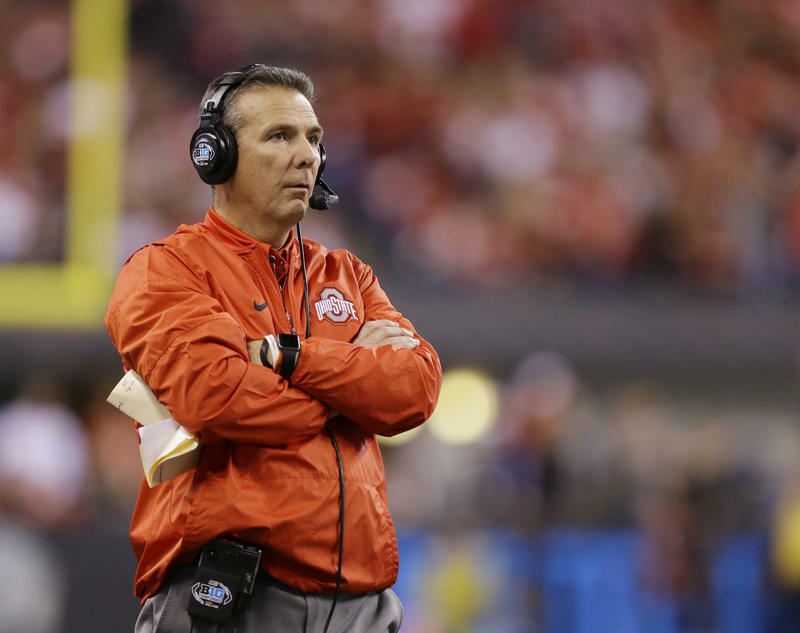 The investigation into Ohio State University football coach Urban Meyer is expected to finish within two weeks. That timetable was laid out for the first time in a statement emailed by a university spokesman late Sunday night. The statement also says the Board of Trustees working group chaired by former Ohio House Speaker Joann Davidson held its first meeting late last week. The panel also includes former acting U.S. Deputy Attorney General Craig Morford, former U.S. Attorney for the Southern District of Ohio Carter Stewart and current university trustees Alex Fischer, Janet Porter and Alex Shumate. The group is directing the investigation led by former Chair of the U.S. Securities and Exchange Commission Mary Jo White. The university statement says White is a senior chair with the national law firm Debevoise & Plimpton and is a former U.S. Attorney for the Southern District of New York. 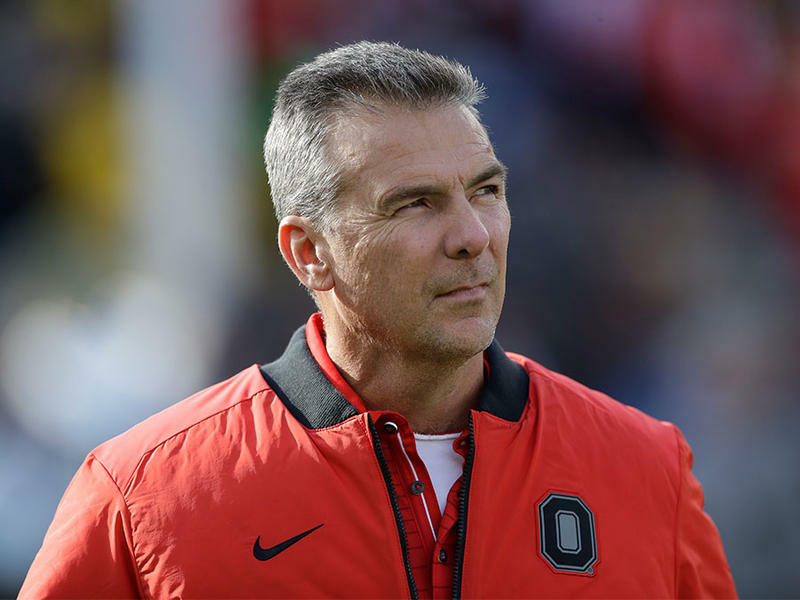 Investigators are looking into Meyer's contradicting statements on whether he knew about domestic violence allegations against former wide receivers coach and lead recruiter Zach Smith in 2015. Two weeks ago, Meyer told reporters that he had no previous knowledge of the 2015 incident involving Smith and his then-wife, Courtney Smith. Zach Smith was arrested but charges were later dropped. Last week, independent journalist Brett McMurphy published text messages and pictures showing Courtney Smith told Meyer’s wife, Shelley Meyer, about the abuse in 2015. The special board working group was announced Thursday, one day after Ohio State put Meyer on paid administrative leave. Also on Friday, Zach Smith told Columbus radio station 105.7 The Zone that both Urban Meyer and Athletic Director Gene Smith knew of the 2015 incident shortly after. 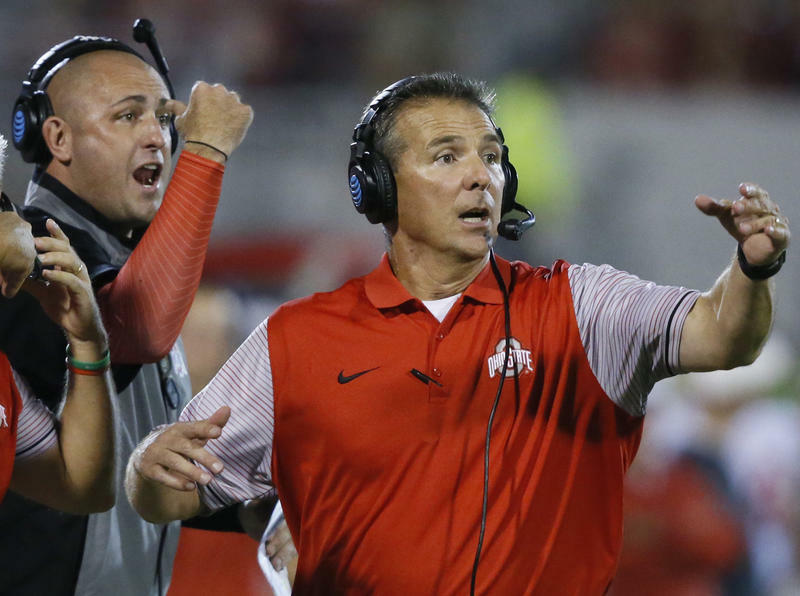 When asked if Meyer should be fired, Zach Smith told the radio station, "I'd be heartbroken. For Ohio State. For the players. For him and his family. It'd be dead wrong. If he loses his job it's flat wrong. And this is the guy who fired me. It would be a crime." Even before Zach Smith was fired as Ohio State assistant football coach, police records show a two-year string of stalking and domestic violence incidents between him and his ex-wife, Courtney Smith. 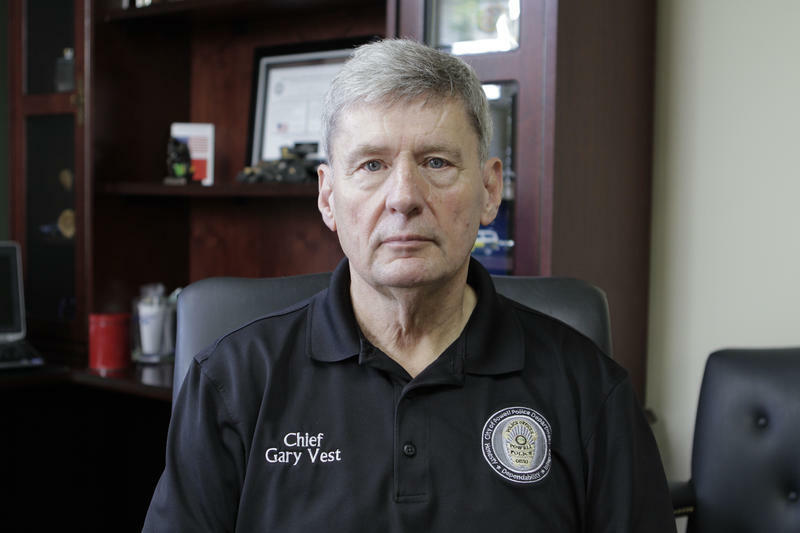 Powell Police Chief Gary Vest has no qualms about how his officers handled the cases. 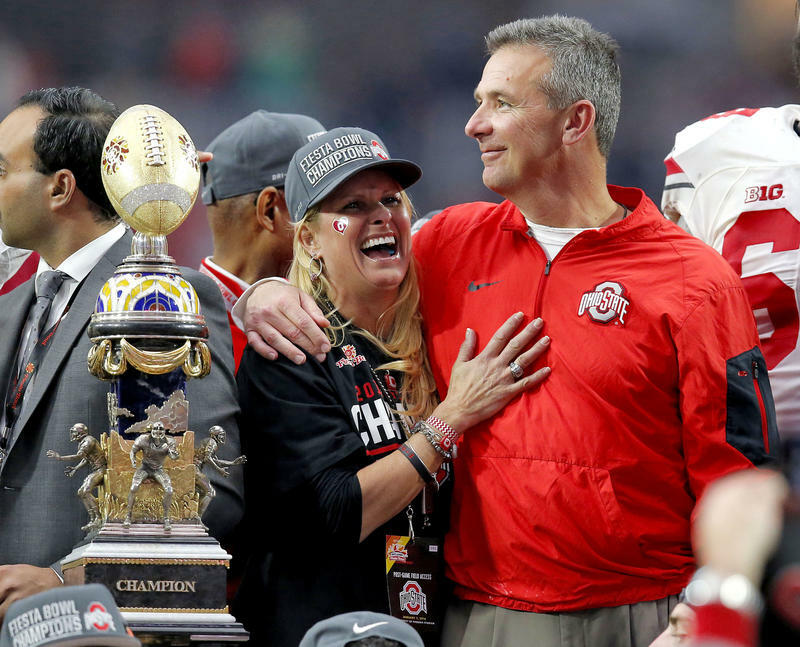 Allegations that the wife of Ohio State head football coach Urban Meyer knew about an assistant coach abusing his then-wife could spell trouble for the school. That's because, as a faculty member, Shelley Meyer may have been obligated to report the misconduct to school officials - as would Urban if he also knew. Not doing so may violate the school's Title IX responsibilities.